Add extras here and the price will be updated at the checkout. 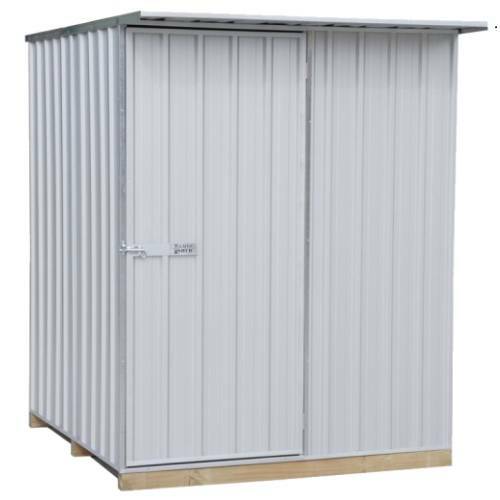 1.53W x 1.53D x 1.83H flat roof garden shed with single door. 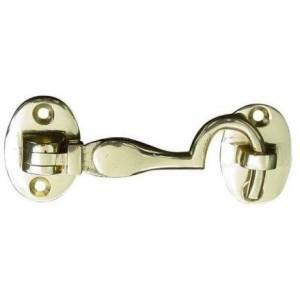 Available in Alu-Zinc or Hazy Grey coloured steel. 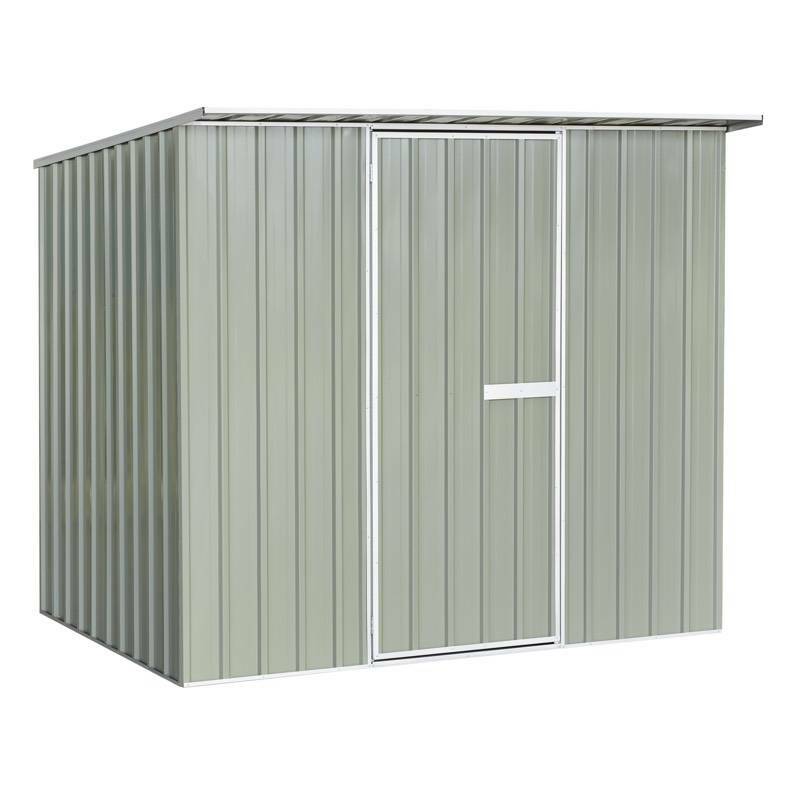 Main picture shows Alu-Zinc shed with optional timber floor. Here’s another small shed that’s big on space. It’s deep enough to hold your lawnmower and still have room to provide secure storage for loads of other gardening gear. 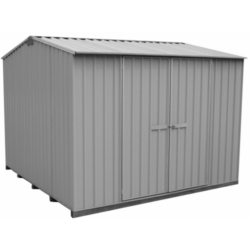 This mighty flat roof steel shed kit provides heaps of storage space for a low price. Add a timber floor and you are all set to go. 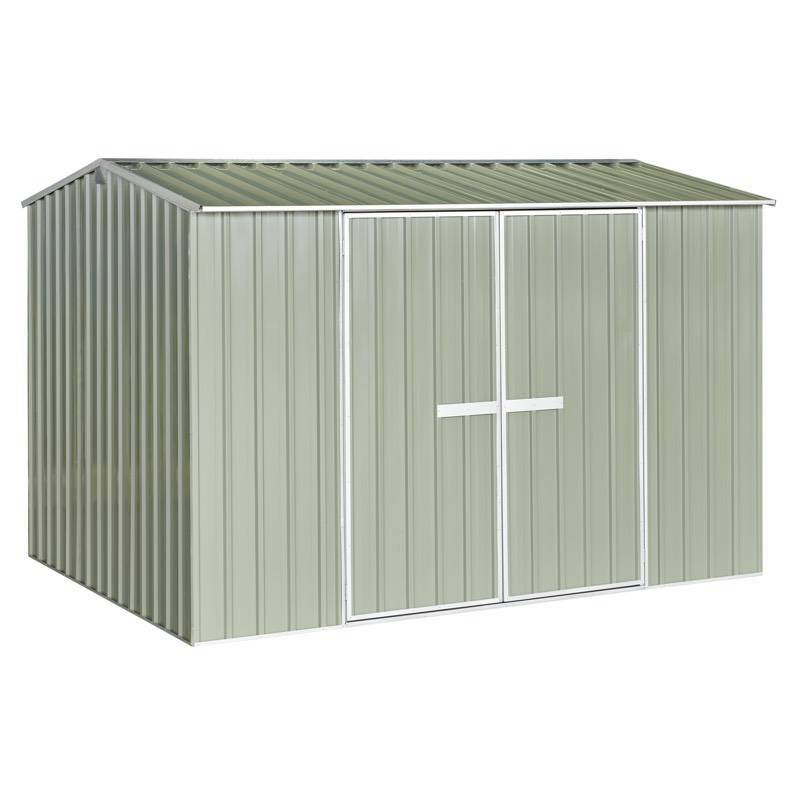 Need more reasons why these low cost sheds are better than imported sheds? 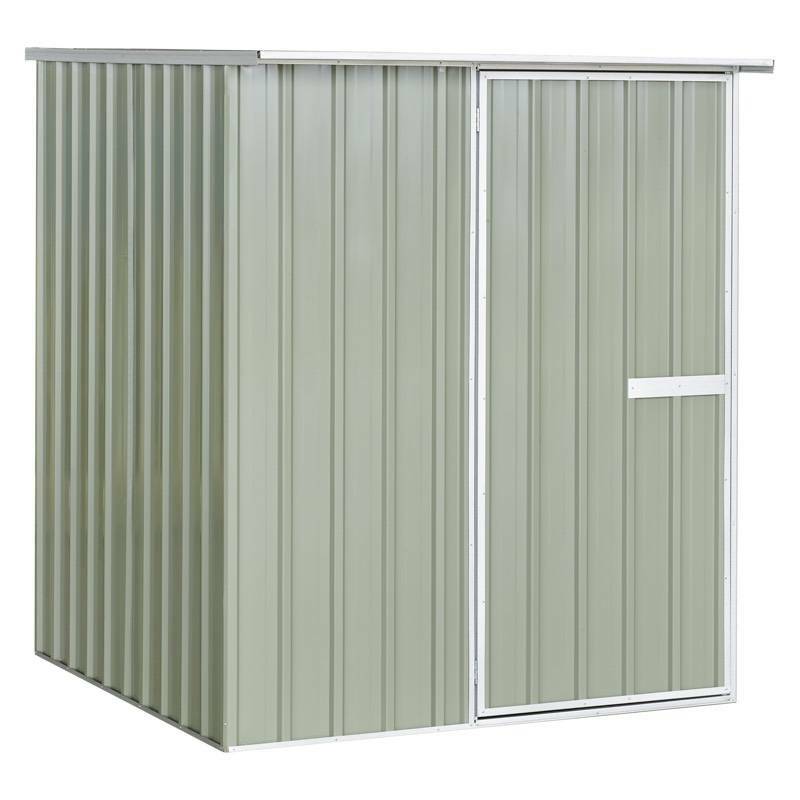 Made with expertise from NZ’s most experienced garden shed manufacturers… since 1974! A kitset timber floor is available to suit this shed. Made from H4 treated 75 x 50mm pine runners and 150 x 19mm H3 treated pine floor boards, it’s a quick and easy way to add a floor to your shed. 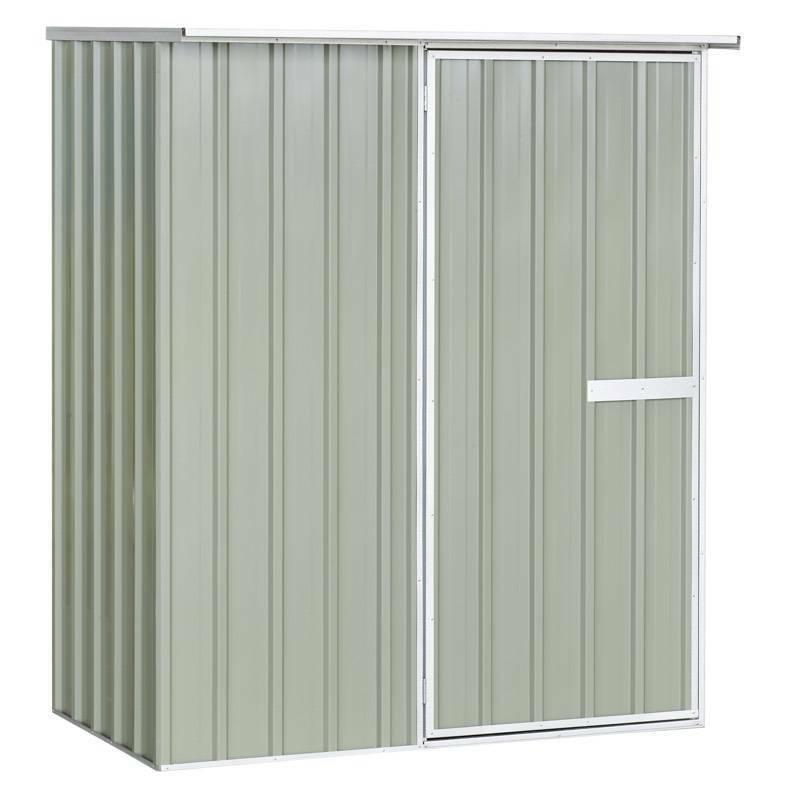 Alternatively, you can fix your shed to a concrete floor using our floor clamp sets. 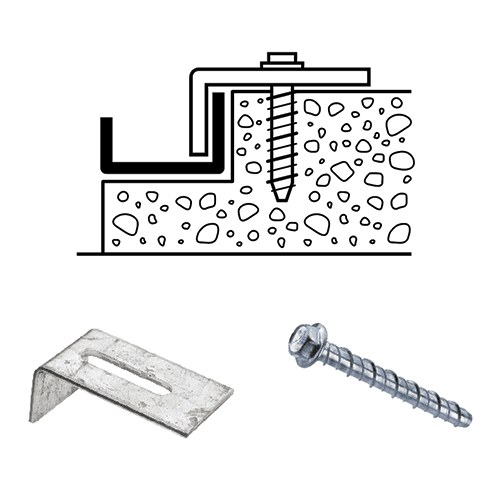 There are flat floor clamps for existing or new flat concreted areas using concrete screws or recessed floor clamps for specially poured concrete floors. 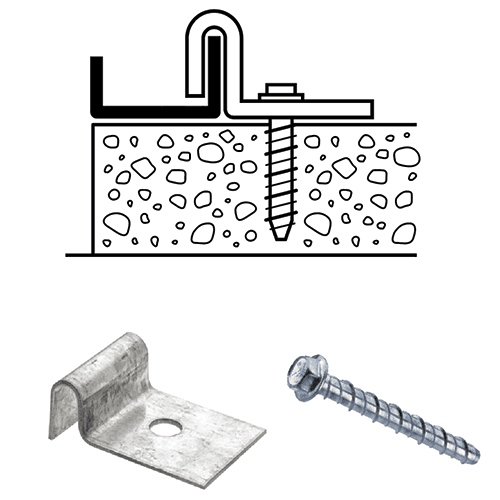 We recommend the recessed concrete floor system as it provides greater protection from wind lift and moisture entering under your shed. If you require assembly please contact The Assembly Company. * The Galvo Standard shed is not covered by warranty within 2 kms of the sea or if it’s situated in thermal regions, but is priced accordingly.